Dear Friends: Copy and paste Facebook Privacy Notices are SPAM. Kindly stop reposting! Keeping your Facebook images private is a confounding problem. Ask Mark Zuckerberg’s sister Randi who couldn’t make sense of FB’s privacy settings. 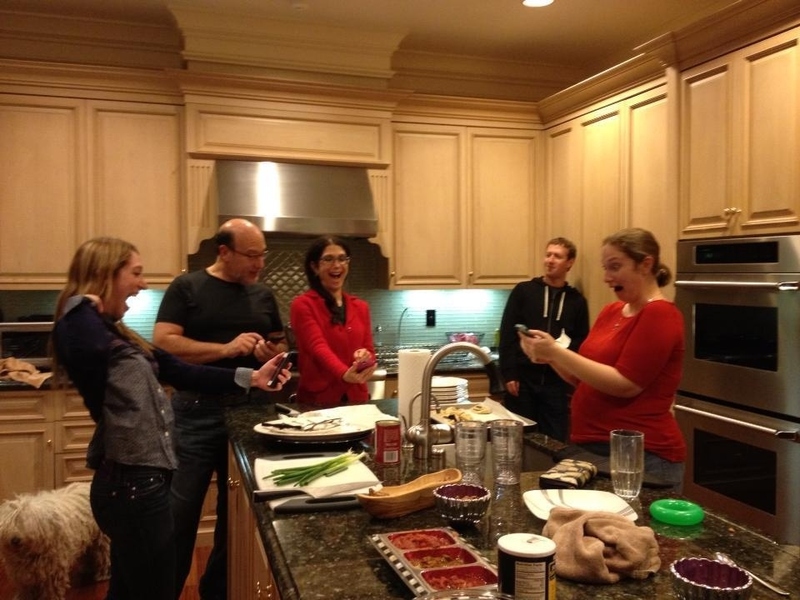 Kashmir Hill, a privacy commentator at Forbes posted a funny analysis of the Zuckerberg predicament and easy to follow directions on how to adjust your settings to keep family photos more private. The settings are easy once you know where to look. User posting behavior sometimes doesn’t match with User privacy concerns. As of November 28, Facebook will be able to change its policies with seven days notice to users. No more voting. In the past, voting on changes allowed some users to flood the system and obscure other user’s input. Will the proposed changes offer more transparency or enhance user’s experience? The Data Use Policy is slowly becoming less opaque but still obscures some collection methods. For example, the Data Use policy does not explain how the Facebook “Like” button on third party sites may collect about our activities on each website we visit after “liking” a site and then share data with affiliates who serve targeted ads elsewhere. Will the proposed changes affect businesses and marketeers using Facebook for corporate events, product launches and brand communications? While the proposed changes do not seem to affect developer and marketing activity, empowering consumers with privacy settings could curb the digital love. Everything needed to “understand” Facebook’s new moves is here. Websites should consider treating children as an attractive nuisance. Even consider putting up fences to keep them out. The FTC is monitoring many websites that attract children (even unintentionally) for COPPA violations. The Children’s Online Privacy Protection Act, COPPA, requires websites to obtain verifiable parental consent before collecting personal information from kids under age 13. Sites that are “directed” to such children must also disclose to parents what it collects about their children, how it uses the information and what it discloses to third parties. If the websites do not comply with COPPA the Federal Trade Commission may investigate, and impose fines and consent orders to curb websites’ tracking of children under 13. Many website policies include a disclaimer that the website is “NOT directed” to children under age 13 and prohibit or limit access by children under 13 only with direct parental supervision. Unfortunately, these policies will not limit the liability of a website operator if it knows kids under 13 are providing personal information to its website. Then, the website is likely to be considered to be directed to such children. If a website operator knows that kids are attracted to its website, then the website must comply with COPPA as if it the website is intentionally directed to children under 13. Artist Arena manages fan sites for Justin Bieber, Rhiannon and Selena Gomez (among others) together collected personal information from more than 25,000 children under the age of 13 without seeking verifiable parental consent. Artist Arena’s fansites were intentionally directed to ‘tweens as the target audience of the celebrities featured on its fan sites and had COPPA policies, but failed to actually notify the parents and obtain their permission before collecting info from their children. Artist Arena settled with the FTC, agreeing to pay a cool million dollars, enter into a consent decree against future COPPA violations, and destroy all data it unlawfully collected from children. Kids are adept at learning new technology and have unfettered access to smartphones, tablets and desktop computers. So, it goes without saying that many registration schemes aimed at preventing kids from accessing an attractive website are quickly overcome. A policy prohibiting use by children is definitely not sufficient. Operators of interactive websites (sites with blogs, forums, comment and sharing features) can’t ignore kids under 13 who are using the site . Their data stream will likely “rat them (and the operator) out.” With notice of kids, the operator must either block access or adopt a COPPA policy and enforce it. Get the COPPA FAQ’s here. We are sorry, but you can not register at this time. Hat/Tip to Sharon Snyder for sending me this Washington Post article about Artist Arena’s woes. Tweeps who engaged with the FTC last week might wonder how their tweets are being used. The FTC’s privacy preactices are disclosed in the FTC’s Privacy Impact Assessment and chart showing how user information is collected when interacting with the FTC. The Wall Street Journal has an article about Apps this morning. The paper has done a great job of revealing the so-called seamy underbelly of the online advertising world. Today the theme is that Facebook apps exploit users (and make Facebook million$) by collecting bits and pieces of personal data, details that alone do not personally identify the user, but collectively tell ad brokers and advertisers what you are most likely to purchase next. Boom the correct ad is served to you. Convenient or creepy? The unconstrained collection of digital data is stirring feelings of distrust among some users. “Consumers are being pinned like insects to a pinboard, the way we’re being studied,” said Jill Levenson, a creative project manager at Boys & Girls Clubs of America in Atlanta. She recently deleted nearly 100 apps on Facebook and Twitter, she said, because she was uncomfortable with the way details about her life might be used. via Selling You on Facebook – WSJ.com. Collecting personal data is creepy but not invasive. Data collection by apps is largely consented to by users. Actually invasive is when journalists from News of the World and other News Corp papers (of which WSJ is one) hack voicemail so they may divulge salacious personal details which, by the way, also sells advertising. Farmville, FourSquare, Girls Around Me, Instagram, etc. ask you if you want to share your contacts, relationship details, etc. Don’t get angry with Facebook, just don’t click through and accept such requests without thinking. You have the power! When is Advertising Invasive or Just “Creepy”? Cookies are one of my favorite things. Usually, this refers to the oatmeal raisin variety rather than those tiny bits of computer code that empower websites to remember a user’s login, keep items in a shopping cart and greet the user by name when she returns. Warm and fuzzy, right? Sometimes, not so much. I once shopped for a friend on a website that she loves but is not my taste. So years later continuting to be served display ads from that website is irritating. Another friend tweeted that “it’s creepy” when a product she was reading about on one website appears later in a display ad on a different website. It seemed someone was spying on her. Uncanny! “Creepy” is a term borrowed from robotics to refer to a use of personal information that does not legally invade your privacy but is frightening because of the “stalker-like” appearance that a website knows everything about the user. In 1890, another new technology was changing the media. Then as now, legal scholars were concerned that existing law would not protect consumers from the heretofore unheard of technology. In The Right to Privacy inspired by the invention of “instantaneous photographs”, Justices Samuel D. Warren and Louis D. Brandeis identified privacy as the right of an individual to be left alone. William Prosser further developed Invasion of Privacy into a set of four torts (legal remedy for an injury): False Light, Appropriation of Name or Likeness, Intrusion into Seclusion and Public Disclosure of Private Facts. The body of law that developed from Warren and Brandeis’ article served to protect privacy through the 20th Century until the proliferation of electronic information in the Internet age allowed websites to identify users without using their names or likenesses. Cookie. A cookie is a small file containing a string of characters that is sent to a user’s computer when the user requests a website address. When that user later returns to the website, the cookie allows that site to recognize the user’s browser. Cookies are usually discarded when the person ends the session and closes the browser. Persistent Cookie. Cookies that include an expiration date will persist until the arrival of the expiration date, potentially long in the future. Cookies may store user preferences and other information. A user can reset her browser to refuse all cookies or to indicate when a cookie is being sent. Pixel Tag. A pixel tag, sometimes called a web beacon, is a tiny graphic file placed on a website, in an ad or within the body of an email for the purpose of tracking activity on websites, or notifying a sender when emails are opened or accessed, and often used in combination with cookies to connect an ad to an interested consumer. Server Log. Website servers automatically record the page requests made by visitors to the website in log files. Server logs typically record web requests, Internet Protocol addresses, browser type, browser language, the date and time of a request and one or more cookies that uniquely identify the user’s browser. IP Address. Computers connected to the Internet are assigned a unique number known as an Internet protocol (IP) address. Since these numbers are usually assigned in country-based blocks, an IP address can often be used to identify the country from which a computer is connecting to the Internet. Depending on how a user connects to the internet, the IP Address may identify one computer or may change each time the user connects to the internet. Anonymous Identifier. An anonymous identifier is a random string of characters that is used for the same purposes as a cookie on platforms, including those for mobile devices, where cookie technology is not available. While each of these technologies may be used for administrative purposes such as noting whether a user is a return visitor, remembering the user’s preferences or providing confirmation that the correct ad was served to a particular website to allow a publisher to correctly charge the advertiser for an ad the user clicked, the same technologies may also be used by third parties to quantify and predict consumer behavior. Aggregating non-personally identifiable information stored on user’s browsers allows third party ad servers to accurately predict when a user will purchase a particular product. These third parties use web beacons to find a likely buyer and scan her cookie and log file information to analyze the value of serving a particular ad to that user. Advertiser can then bid on the value of the ad to be served to the user. Although the third party ad server cannot identify the human, it knows many details about the user’s browsing history and product preferences. That’s when things start to feel creepy. This practice is not an invasion of privacy recognized by Warren, Brandeis or Prosser, but it may be actionable as a deceptive practice under the Federal Trade Commission Act. What is Protected as “Private” Online? Less than one might think. Online privacy focuses on the use of personal information and how it is contributed, collected, shared and used by the user and other people and companies providing web services. “Personally Identifiable Information” (a.k.a. “PII”) is protected by a web of laws – but non-personally identifiable information collected by many websites is largely unregulated. Not all personal information is protected either. A person’s name alone is not privateor protected. A name with a corresponding social security number, driver’s license number, credit/debit card account number or other financial account number is protected as “Personal Information” under a variety of U.S. state data breach notification laws. Unauthorized disclosure, theft or breach of unencrypted personal information triggers notification requirements, and imposes liability for penalties and/or damages on the company whose data was breached. Credit card numbers alone (or when stored with expiration dates) are often not protected as PII under many state data breach notification laws. No notification to the holder of the account is required despite the ability of criminals to clone fake but functional credit cards with a credit card number and expiration date alone. Websites collect both PII and non-personally identifiable information about their users. PII is collected from website visitors when they fill out forms to register for website services or to make purchases from online retail stores. Non-personally identifiable information is anonymous data about a visitor detected and used by the website for various purposes, such as to remember if a user is a return visitor, or to remember a visitor’s login information or preferences, to operate shopping carts, and serve ads relevant to the consumer’s interests as determined by tracking the user’s browsing habits. In some cases non-personally identifiable information is collected from a user as she browses across multiple sites and provides a detailed picture of the consumer’s habits. Non-personally identifiable information about a consumer is stored by the website in cookies and log files on the consumer’s own hard drive. Only a few state laws address protection of privacy online. California’s 2003 Online Privacy Protection Act (OPPA) was one of the first laws to require that websites used by California residents have policies that notify users how the website collects, uses, shares and protects PII collected from visitors and to notify users how to opt-out of collection of PII. OPPA’s definition of PII includes: first and last name, home or other physical address, email address, telephone number, social security number and other identifiers that could permit physical or online contact with the identified user. Children’s Online Privacy Protection Act (COPPA) that requires websites collecting personal information from children under age 13 (whether intentional or not) to provide notice and obtain verifiable consent from parents to the website’s collection and use of a child’s PII. The CAN-SPAM Act seeks to protect consumers from unsolicited “junk” email by limiting businesses to emailing only those consumers with whom the company has a business relationship. The Gramm-Leach-Bliley Act requires financial institutions to explain their information-sharing practices to their customers and protect sensitive financial information about their customers. The HIPAA Privacy Rule requires healthcare providers to protect the privacy of individually identifiable health information by mandating security standards for the collection and storage of sensitive health information. As online technology continues its rapid development, experts and government regulators (US and foreign) are calling for changes in privacy laws to protect consumers from invasive collection of non-personally identifiable information. The FTC issued a report in 2010 calling for “Do Not Track” mechanisms to facilitate consumer choice about online tracking. The U.S. White House recently released its Consumer Privacy Bill of Rights. Collection of data about users visiting websites is commonplace online. Digital advertising supports the free web and mobile services people enjoy. Determined to ensurethat privacy concerns not halt technological advances in digital advertising, the industry formed the Digital Advertising Coalition and developed a self-regulatory program, a consumer education program and PII opt-out program and icon to be embedded in ads that collect multi-site data. The FTC and US White House recently commended the industry for its self-regulatory program.